Art giving a vision to a voice. Poetry giving a voice to a vision. 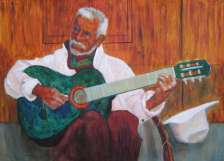 In The Magic of Mariachi/La Magia del Mariachi we place paintings of mariachi musicians side by side with poems inspired by these works of art. 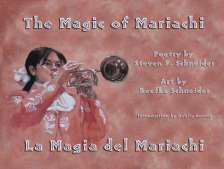 Together, these beautiful paintings and lyrical poems invite you into a colorful world of pageantry and musical tradition. 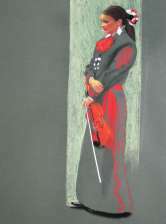 Featuring 25 drawings in charcoal, conte crayons, and pastels. 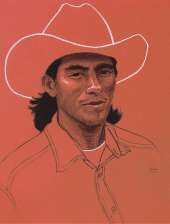 This culturally relevant collection pairs portraits of people who live and work along the U.S.-Mexico border with poems in English and Spanish inspired by each of the drawings. You will be given a close-up look at the U.S.-Mexico border that peels back layers of fear and misunderstanding. These border portraits caught my eye when I first saw them at the University of Texas-Pan American, and they draw me in even now. Ordinary folks rendered with love, compassion, and intimacy at a time in history when love, compassion, and intimacy are in short supply on borders, especially when it comes to the Tex/Mex border. Hurray for Steve and Reefka and the magical work they are doing crossing fronteras. Hurray for Wings Press for publishing this celebratory book when we need it the most. ¡Que vivan! The Magic is here! We swoon, dance and enter the true and authentic universe of the mariachi in this prismatic poetry and painting volume. I am moved beyond description — how women determine their lives with song, guitarrón and violin. 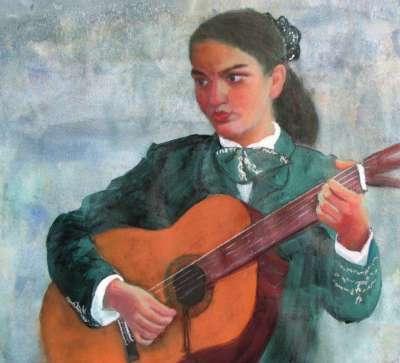 And the landscapes of the mariachis told in their voice. The paintings are luminous, passion-fired, and bring us into a majestic example of beauty, art, love and life-struggle. This is a book of a living and expanding cultural movement. Poetry, painting and people play together — in life, for all of our lives. Bravissimo! 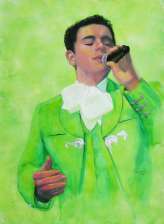 I am in awe — bilingual mariachi magic indeed. 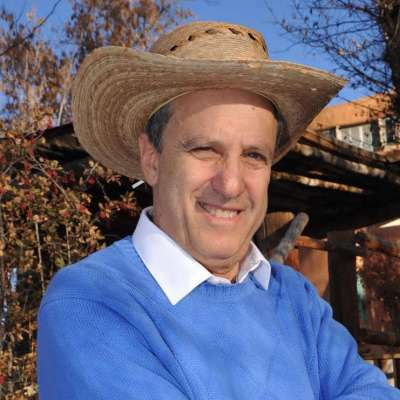 STEVEN P. SCHNEIDER, Poet, is the founder of the MFA Program in Creative Writing at the University of Texas Rio Grande Valley (UTRGV). Professor Schneider, a member of the Texas Institute of Letters, has pioneered the teaching of culturally relevant literature at UTRGV and through his NEA Big Read grants developed innovative community literacy programming. 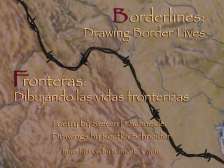 He is the co-creator with his artist wife Reefka of two bilingual, ecphrastic exhibits and books: Borderlines: Drawing Border Lives / Fronteras: dibujando las vidas fronterizas and The Magic of Mariachi / La Magia del Mariachi. He is also the author of the poetry collections Unexpected Guests and Prairie Air Show. His poetry has been featured on NPR Morning Edition and in American Life in Poetry. 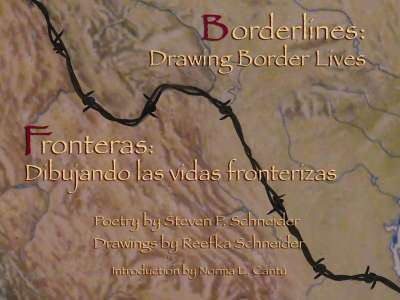 REEFKA SCHNEIDER, Artist, is the creator of the art work in the highly acclaimed ecphrastic books and traveling exhibits Borderlines: Drawing Border Lives / Fronteras: dibujando las vidas fronterizas and The Magic of Mariachi / La Magia del Mariachi. 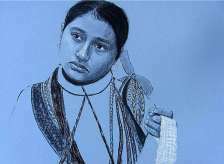 Reefka’s art work has been published in Writing Towards Hope: Human Rights in Latin America (Yale University Press) and many prestigious journals. 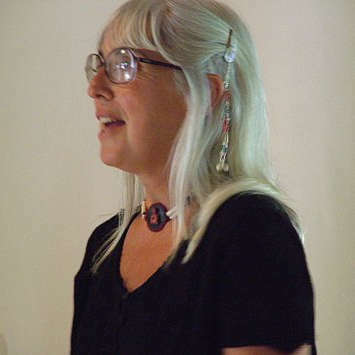 She has had exhibitions of her work throughout the Southwest, including “Dreamwalkers” at the Michael McCormick Gallery in Taos, New Mexico, “Ekphrasis: Sacred Stories of the Southwest” in the Obliq Gallery in Phoenix, Arizona; “Daughters of Juarez” in the Parks Gallery in Taos, New Mexico, and “Borderlines” at the Brownsville Historical Museum, Texas.